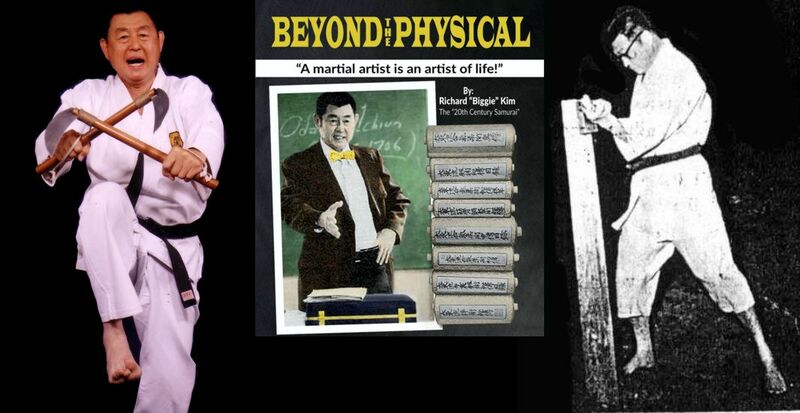 Beyond the Physical By Richard Kim covers over 320 topics discussed by a man sometimes known as the Pied Piper of Martial Arts Richard “Biggie” Kim. 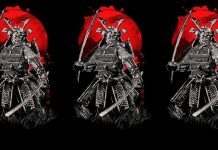 Health, Ethics, Code Of Bushido, Nirvana, Energy-Ki, Religion, Koans, Laws Of The Universe, Ranking Standards, ancient kata translations, History, Visualization, Sutras, Meditation and many more all related to martial arts. 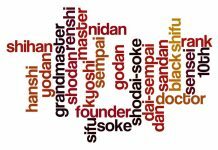 These are the secrets few instructors if any can teach and you will see why he was called the 20th Century Samurai. An amazing book that will finally devulge the secrets or “Okuden” of Oriental martial arts as he was taught by his teachers Yoshida Kotaro, Gogen Yamaguchi, Wang Xiang Zhay, Chen Chen Yuan, Kinji Doihara, Sadao Arakaki, Yabu Kentsu, Kenichi Sawai, So Nei Chu, Mutzu Mizuho, Hiroshi Kinjo and Kamesuke Higashionna to name but a few. 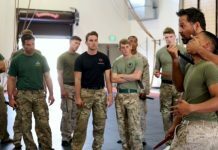 Beyond the Physical is not a “how to do” for martial arts enthusiasts, it is for those individuals looking for more then just the physical part of martial arts. Richard “Biggie” Kim earned 3 PhD’s before the end of WW2. He was a Buddhist Priest, a Hypnotist, a Martial Arts Master, a Fighter with a 42-2 record, a Japanese Spy School Graduate and so much more. The goal of the samurai is peace of mind, not to become the best. 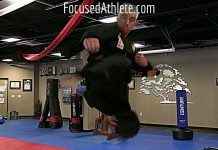 As a martial artist, you must tell yourself that nothing is impossible. 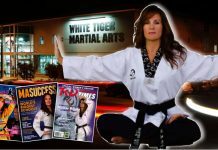 A martial artist must have philosophy and religion as part of their training otherwise they simply become an animal. “If you use your mouth only for eating, you will live a long time”. Enlightenment appears not as knowledge but as wisdom. The Kingdom of God or having a Buddha nature is in you and in everyone. The key is to tap into the infinite supply of power and energy. Wisdom does not come from universal knowledge that everybody has it comes from within each and everyone of us. Never become a slave to time. You must control time. Without discipline, there is no honor. Everything in the martial arts begins and ends with the bow. An artist of life does not waste one second, he has no regrets, and would not change his life. When you are without compassion you become arrogant. 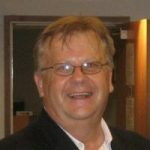 Western man deals with the external world, not the philosophical. Being late is like saying to someone my time is more valuable then yours. This is not polite. The tongue lies like hell but not the body. Japanese culture is something they will not get as it is ingrained in the Japanese genetics. 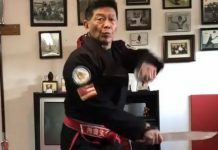 This is the soul of all martial arts. Hopefully some will get it.